After you create a blog the first thing you wanted is to improve search engine ranking right ? But for that you need to increase traffic and have to make your social presence strong. You really need to work on your inbound and outbound backlinks and SEO Search Engine Optimization. These are the only ways with which you can bring lot of traffic to your site. 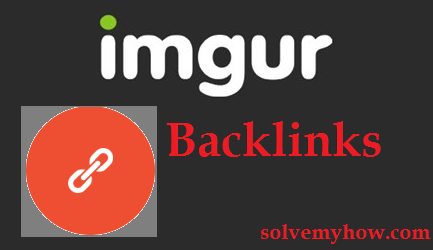 At SolveMyHow previously i had already posted many ways to create high quality PR9 backlinks and in this post we will see how to create free backlinks from imgur. 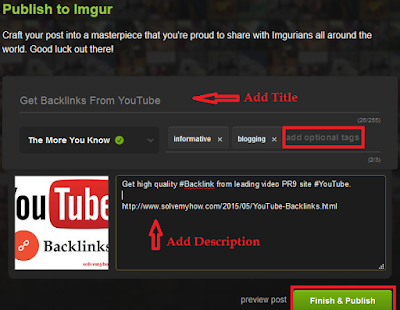 FYI imgur is a free image hosting website with PR 6 and alexa rank 45. It will let you upload images, albums etc by adding title and description. So, today we only not gonna get free backlinks from imgur but we'll also see the ways to increase blog's traffic with imgur. 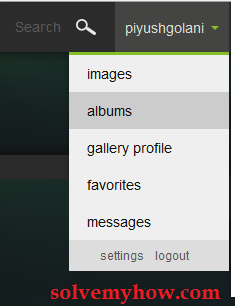 Step 1 :- Create a free account on imgur. If you already have one, that's good. Then simply log in. Step 2 :- Click on upload images button. Look in the menu/header part. 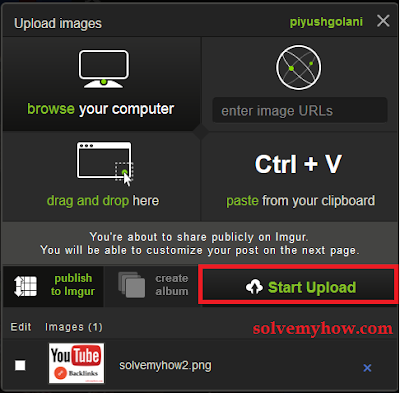 You will find one "upload images" button. Click on it and browse the image from your machine or simply drag and drop it. Step 3 :- Click on Start Upload button. You can directly share the image or you can also create the album if you wanted to share more than one images. Step 4 :- Add title, Description, and most important proper tags. You add all the required details. Add your post link in the description and upload it. Proper tag let your image spread with all the imgur users. P.S You can also share that image with reddit, facebook and twitter users. So you can get more upvotes and views on it. So far we saw how to drive huge traffic from imgur but our main task is not done right. 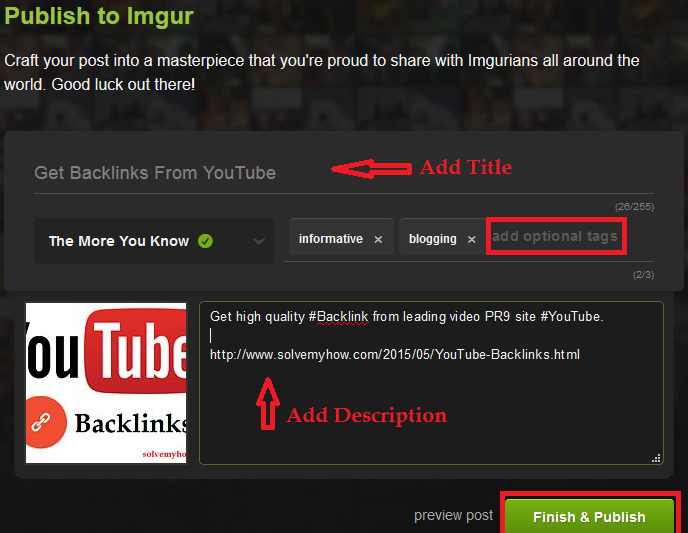 So lets see how to get free backlink from imgur. Step 1 :- Create account and log in into it. Step 2 :- Go to Albums. Step 3 :- Edit your public profile. 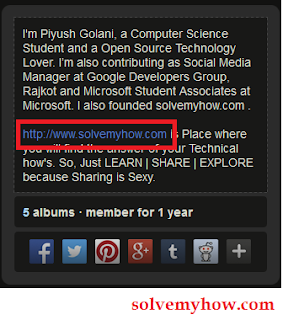 Add you own description and add your blog's url in it. That's it you just have got a PR6 free DoFollow backlink. Hope you find this article useful and worth reading. Don't forget to share this article with your social media friends. In a mean while do let me know which other link building strategies you know. Do share your views in the comments below.